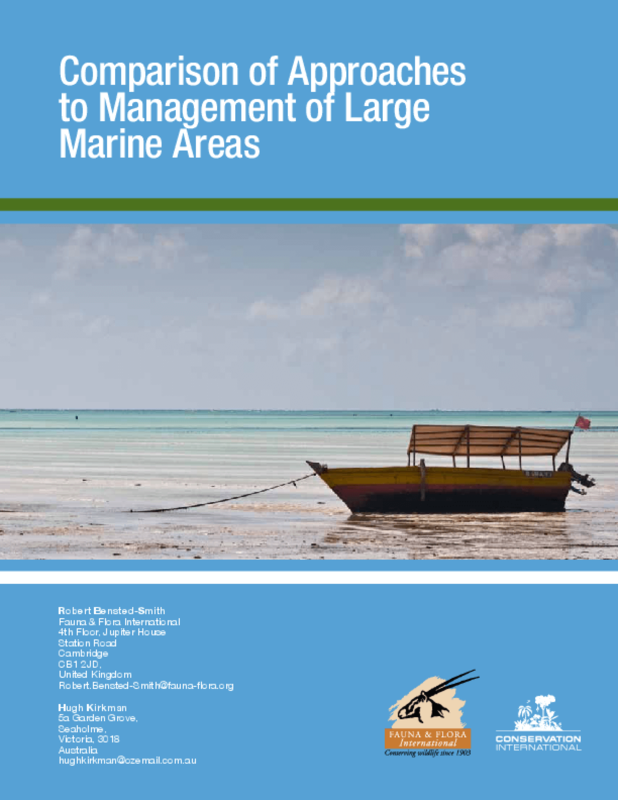 In order to learn more about the different approaches to managing large-scale marine areas, their comparative merits, and the synergies and overlaps between them, Conservation International (CI) commissioned this independent analysis of several widely applied models. Since 2004, CI, together with a multitude of partners, has been developing the Seascapes model to manage large, multiple-use marine areas in which government authorities, private organizations, and other stakeholders cooperate to conserve the diversity and abundance of marine life and to promote human well-being. The definition of the Seascapes approach and the identification of the essential elements of a functioning Seascape were built from the ground up, informed by the extensive field experience of numerous marine management practitioners. Although the report was commissioned by CI, the views expressed in this report are those of the authors; they were charged with providing a critical examination of all the assessed approaches, including the Seascapes approach. This analysis provides a comprehensive understanding of the strengths and weaknesses of each approach. This will help us -- and, we hope, other readers -- to identify ways to work together to achieve even greater results through synergistic efforts. Copyright 2010 Fauna & Flora International; Conservation International (CI).